“Person of Interest” (think association with sub-title), the television show in which an ever-burgeoning artificial intelligence is able to track everyone, does not seem so fantastic when viewed in the reality of today’s world. One may encounter a host of “watchers” in the course of one’s daily tasks. We employ baby monitors that listen to and watch our children. Security cameras observe the approaches to our homes and we may have a television that shows us who is ringing the doorbell. Even on the other side of the world we may be able to watch all the action on our iPhone. Computer sites track our buying information and use autofill to populate our information while traffic cams watch us at traffic signals. Businesses read employee emails and count keystrokes to track productivity. This original paperback includes prominent and promising writers of established and underground novels and short stories, professors of creative writing, translators, computer programmers, attorneys, business people, Americans, Africans, Asians, and Europeans, even a self-described Sagittarius. The list of their collective awards and honors and their publications is impressive. T.C. Boyle, Aimee Bender, Miracle Jones, and Chanelle Benz are among the writers. The stories are uniformly excellent and thought-provoking. Many are laced with a sense of paranoia, but it is not paranoia if it is real, and so many of the situations seem so genuine. Humor and terror draw us to these stories. Dale Peck’s “Making Book” provides a new twist on “that talk” between parents and child. In this case, the parents are bridge players who named their son “Book” and are now showing him a video of “Making Book.” It is embarrassingly funny. A naked woman dangles upside down in “The Entire Predicament” by Lucy Corin. She imagines the correlation between the ropes that bind her body and the rooms in her home. She is sure she is being watched, but by whom? Is it real or paranoia? How did she get into this predicament? 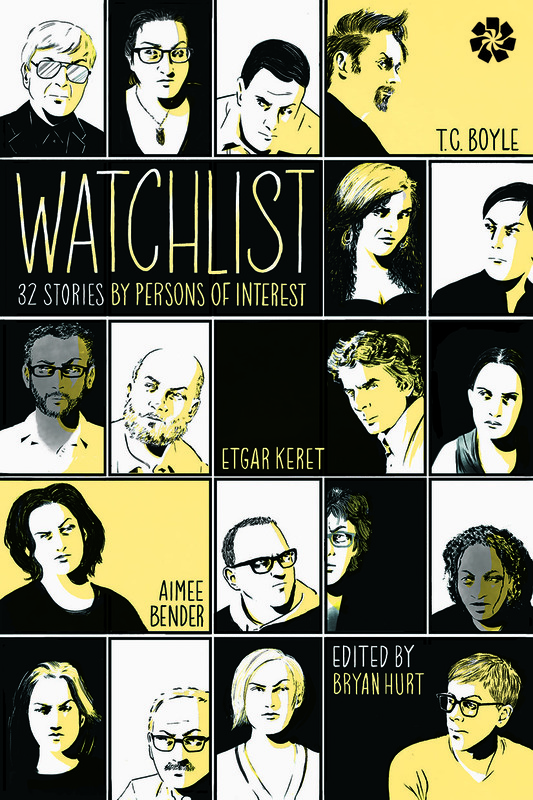 Bryan Hurt asked contributors for stories about surveillance, noting that the scope “would be broad and imaginative.” Stories are set in the past, present, and future and cover a wide range of genres so there is something here for every discriminating reader. They are a terrifying joy to read.